Dmitri Shostakovich was one of the great composers of the 20th century, and certainly the greatest to emerge from the Soviet Union. His relationship with the Soviet government, especially Soviet premier Joseph Stalin, defined nearly every aspect of his life. Folk Dances is a standard repertoire piece for wind bands, but Shostakovich may never have heard it played by a band. It came to the United States in a 1979 edition by H. Robert Reynolds, which the DSW will perform this evening. The previous version was for Russian bands, arranged by Mark Vakhutinskii in 1970. Shostakovich’s original was the third movement of his 1942 suite of incidental music for a musical revue called The Motherland, also known as My Native Leningrad or Otchizna, his opus 63. The suite, written during the bleakest days of World War II, was often somber, ending with a hymn to Leningrad for orchestra and choir. The source material of Folk Dances was the “Dance of Youth,” a purely instrumental movement intended, it seems, to lighten the suite. It includes several Russian folk melodies strung together one after the other as it accelerates to a big finish. October was premiered on May 14, 2000, by the Nebraska Wind Consortium, a band made up of students from thirty different high school bands from Nebraska. This consortium was organized by Brian Anderson, to whom Whitacre dedicated the work in recognition of Anderson’s work to bring the students together. The extremely popular, Suite of Old American Dances is an original work for band. In this suite Robert Russell Bennett seeks to set the mood of a Saturday night barn dance — with all the gaiety which the festivity demands. Bennett does this by recalling several of the characteristic dances remembered from his own childhood. 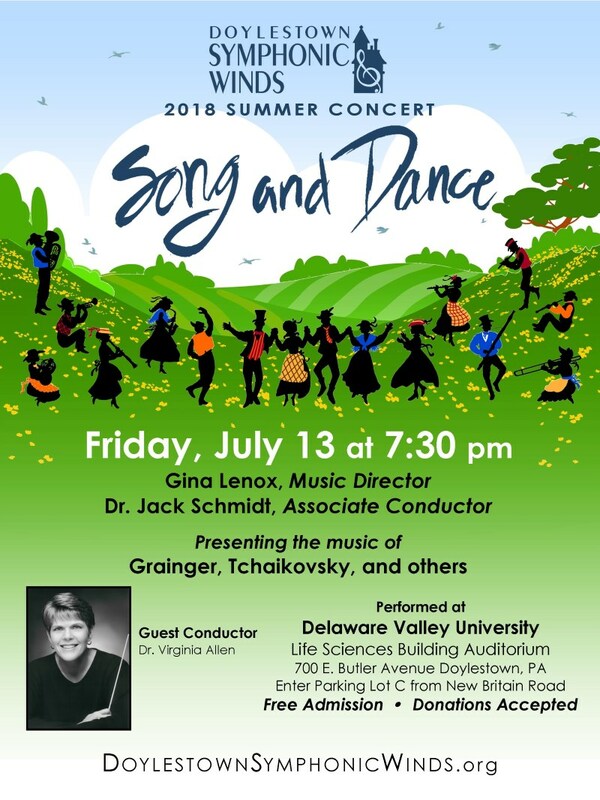 Bennett has described the music as “native American dance forms… treated in a ‘riot’ of instrumentation colors.” The dances you will hear tonight include, Cakewalk, Schottische, and Rag. In Bayou Breakdown,Karrick hoped to create a piece that would provide musical and technical challenges for performers yet could be immediately enjoyed by the listener, musician and non-musician alike. The piece was written for his students in the University of Toledo Wind Ensemble and was dedicated to, Frank Wickes, one of his mentors. Bayou Breakdown began as an attempt to write a fugue in the style of J. S. Bach. The main melody is introduced in a four-part fugue scored for woodwinds. A brief transition introduces a folk song-like lyrical theme based on pentatonic scale. A brief transition takes the piece to its most dissonant section, evoking a poorly played waltz. The main melody attempts to reappear but is swept away by a progression of descending chromatic chords. After a complete stop, the initial fugue returns featuring solos by the clarinet, bassoon, alto saxophone, oboe, trumpet and tuba. After a few short trio statements of the main tune, the piece ends with a polyphonic flurry for the full band. Brant Karrick is currently director of bands at Northern Kentucky University. His prior teaching experience includes nine years at the University of Toledo and seven years of public school teaching in Kentucky. Peter Ilyich Tchaikovsky, who was thirty-three at the time, was commissioned to compose incidental music to the play, The Snow Maiden. The play premiered in 1873 with Tchaikovsky’s score receiving more praise than the play itself. Dance of the Jesters, also known as Dance of the Buffoons, is one of the more commonly performed works from The Snow Maiden, often used as an encore in orchestral settings. In Ray Cramer’s transcription for wind band, the Dance of the Jesters is a highly energetic work with intermittent brass fanfares and rapid, technical woodwind passages. The flurry, energetic drive and playful melodies associated with Tchaikovsky’s ballet scores are all heard in this rare and invigorating music.